THE SEQUEL TO THE NUMBER 1 BESTSELLER, WORKING CLASS BOY. It’s a life too big and a story too extraordinary for just one book. Jimmy Barnes has lived many lives – from Glaswegian migrant kid to iconic front man, from solo superstar to proud father of his own musical clan. 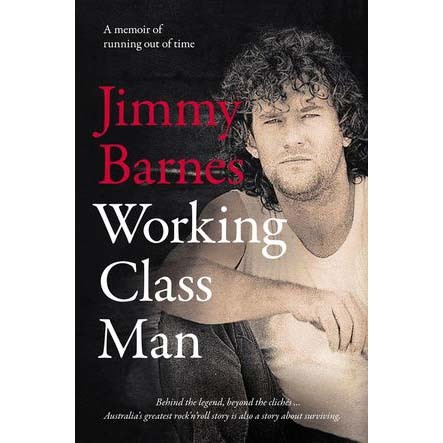 In this hugely anticipated sequel to his critically acclaimed bestseller, Working Class Boy, Jimmy picks up the story of his life as he leaves Adelaide in the back of an old truck with a then unknown band called Cold Chisel. A spellbinding and searingly honest reflection on success, fame and addiction; this self-penned memoir reveals how Jimmy Barnes used the fuel of childhood trauma to ignite and propel Australia’s greatest rock’n’roll story. But beyond the combustible merry-go-round of fame, drugs and rehab, across the Cold Chisel, solo and soul years – this is a story about how it’s never too late to try and put things right.